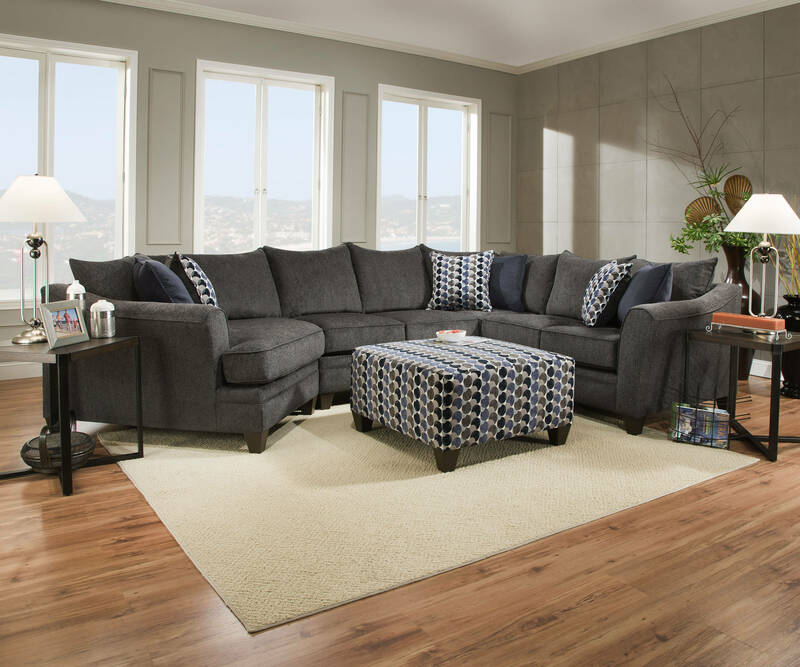 Simmons Upholstery three piece sectional featuring flared arms, plush seat cushions, attached back cushions, covered in a soft woven chenille with a great look and feel. Accented with six toss pillows. Seat Cushion Width : 45"
Seat Cushion Depth : 37.5"